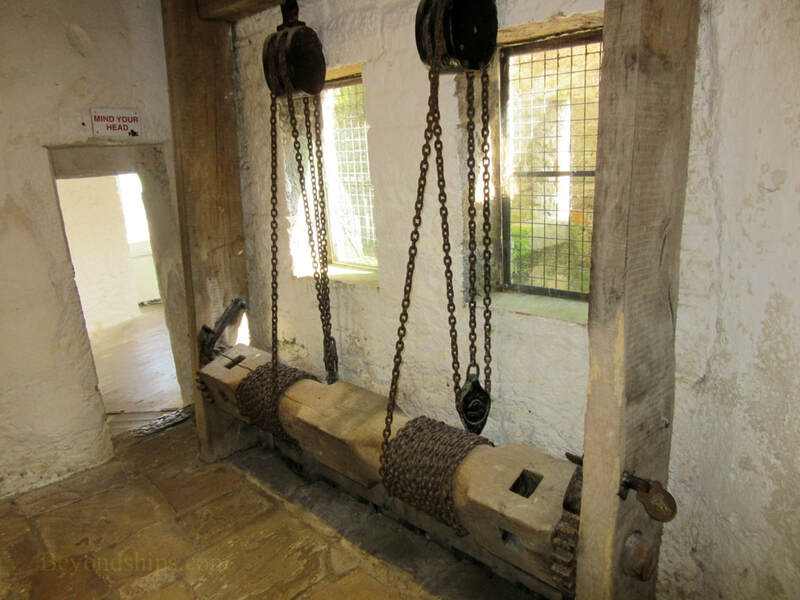 ​The castle's portcullis is still in working order. Above: A feature in the park recalls that Cahair was used as a location in the movie Excalibur. Cahair Castle is one of the largest castles in Ireland. 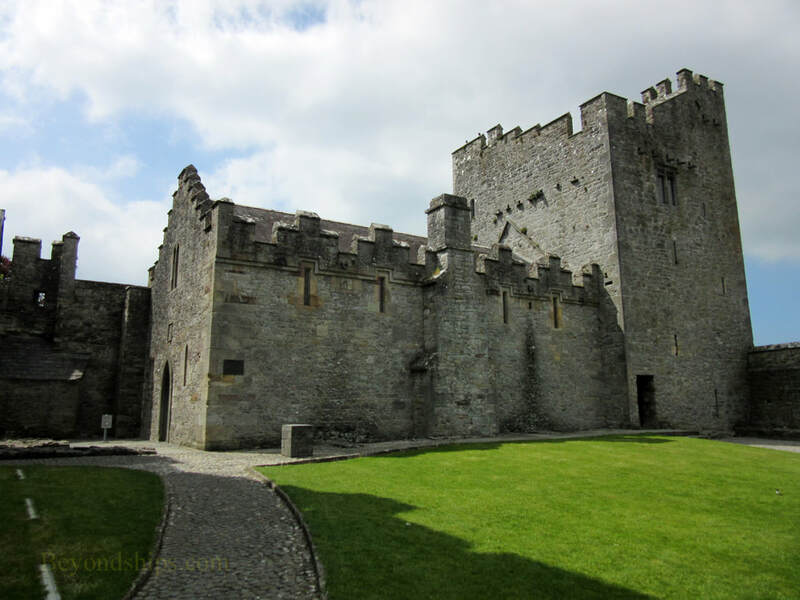 It includes a keep, a great hall and several outer buildings surrounded by impressive walls. Although the castle dates from medieval times, it remains in good condition. In addition, it is very picturesque both from its park and from the river that flows by the castle. The castle is in the town of Cahair in County Tipperary. 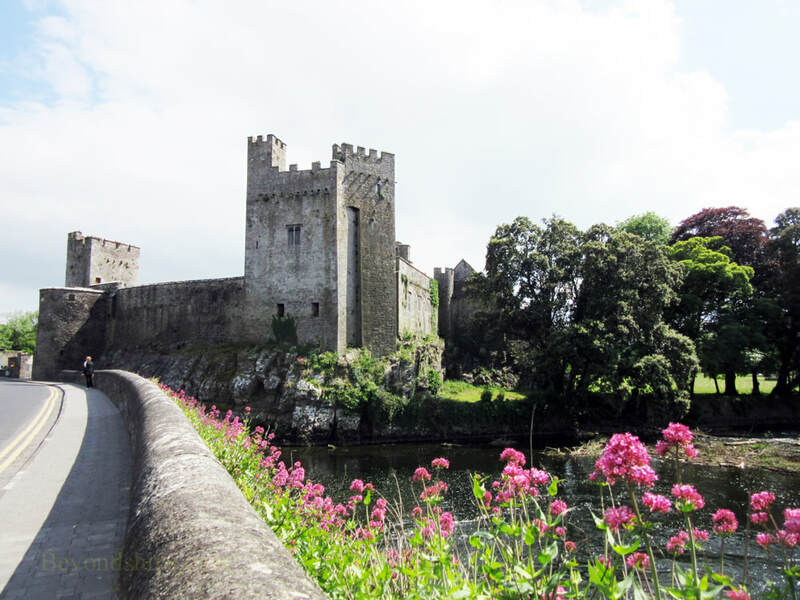 It sits on an island in the river Suir but the town approaches the castles. However, the wider of the two branches of the Suir and a park to the south make for a countrified setting. In ancient times, there was a stone fort on the island. Indeed, the castle and the town take their name from the old Irish word for stone fort cathair. The present castle dates from 1142. 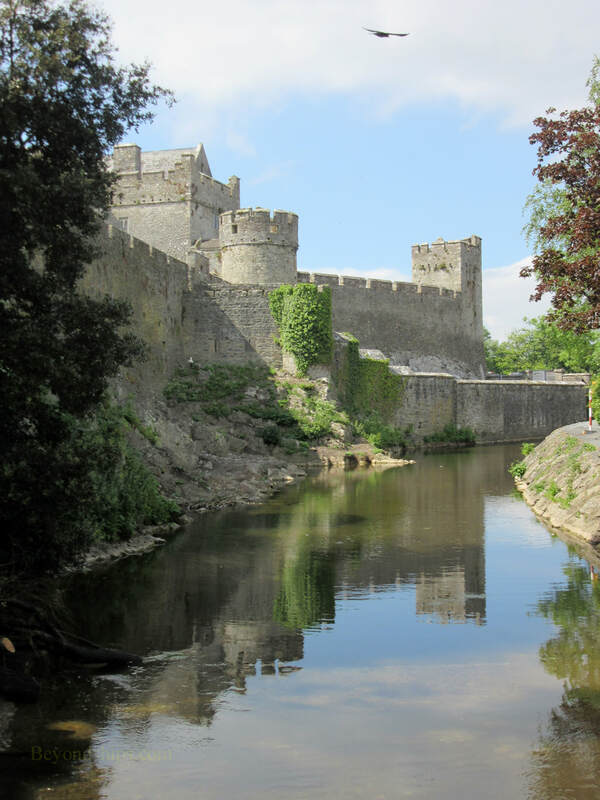 Conor O'Brien, Prince of Thomond is usually credited with building the castle. 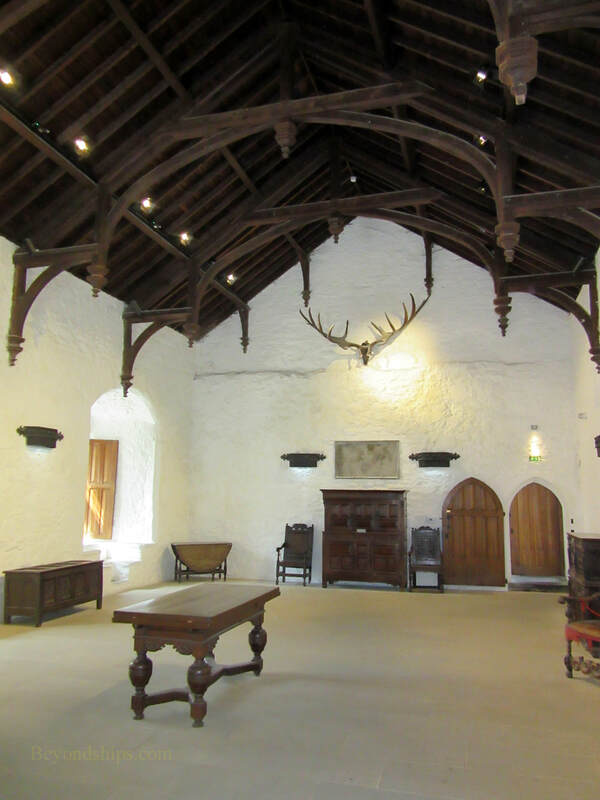 In 1375, Cahair Castle came into the possession of the Butler family for services to King Edward III. The Butlers held it, with the exception of a few brief periods, until 1971 when the last Butler died without heirs. It then reverted to the Irish government. Seemingly growing out of the river, Cahair was long thought impregnable. However, in 1599, the Earl of Essex, who had been sent to Ireland by Elizabeth I to subdue the rebellion led by the Earle of Tyrone, laid siege to the castle. 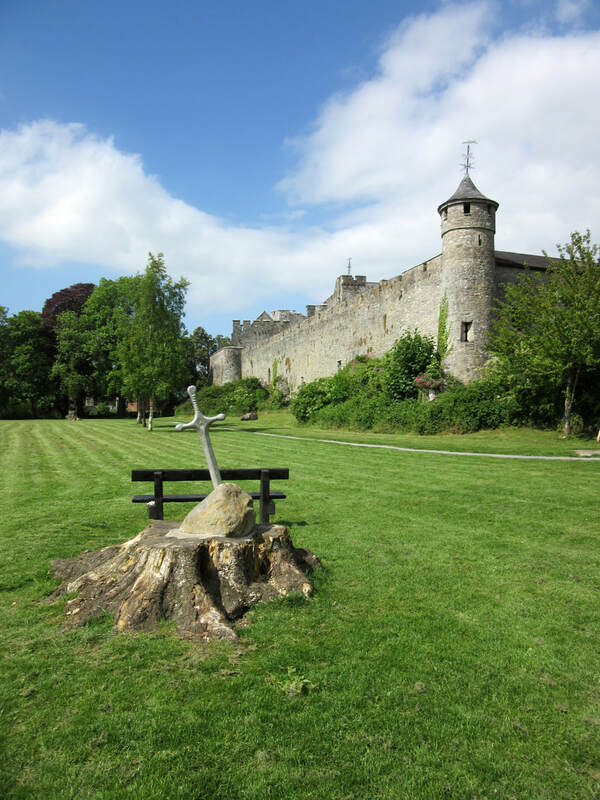 Essex's artillery bombarded the castle and after three days it was surrendered.. (Two of the cannonballs remain embedded in the castle walls). 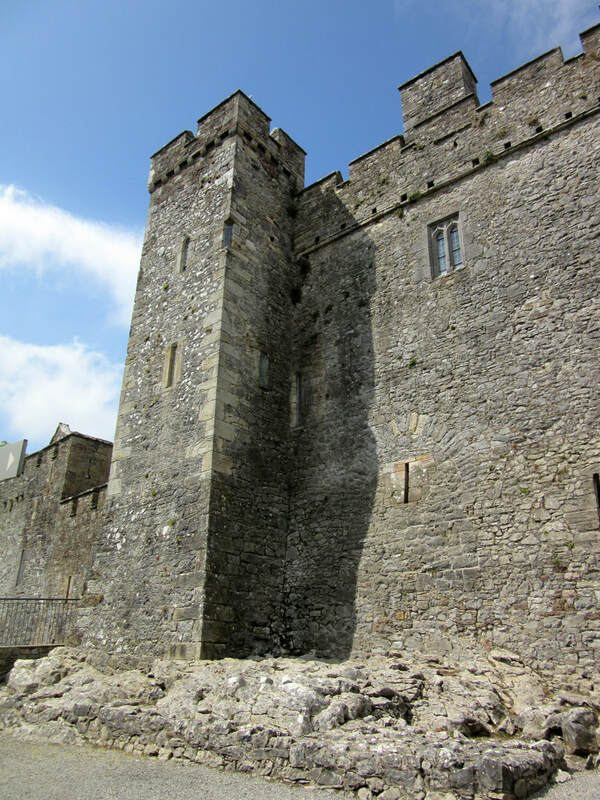 By the time of the Irish Confederate Wars in the 1640s, advances in military technology had rendered castles obsolete. As the seat of a powerful Catholic Royalist family, Cahair was besieged twice by Parliamentary forces. First by Lord Inchiquin and later by Oliver Cromwell. Both times, the castle was surrendered without firing a shot. Following the restoration of the British monarchy, the Butlers re-gained Cahair. They continued to live there until the mid-19th century when they lost it again, this time in a bankruptcy. By 1870, they had re-purchased the castle but choose to live in a mansion in the town instead. In recent times, Cahair has been used as a setting in several motion pictures including Barry Lyndon and Excalibur. 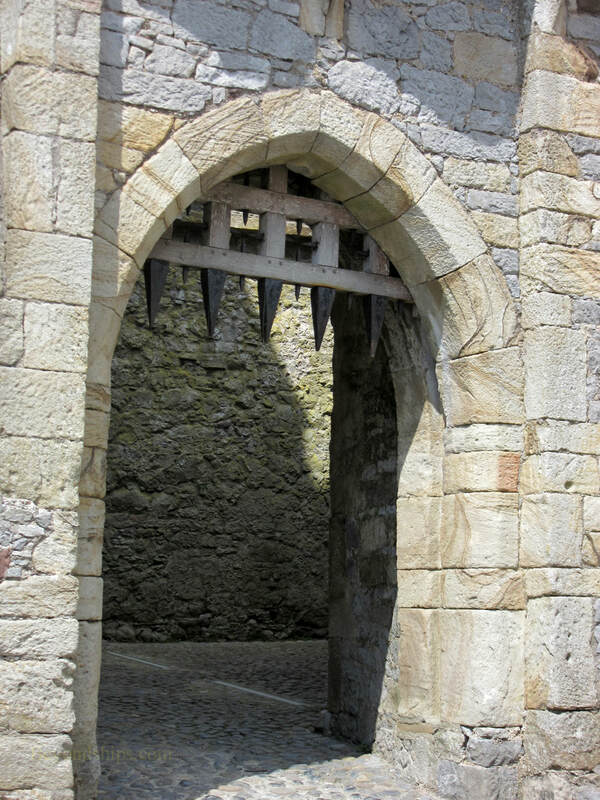 The sound of the still working portcullis can be heard in the movie Braveheart. Today, the Castle is open to the public. There are guided tours and an audio visual presentation. 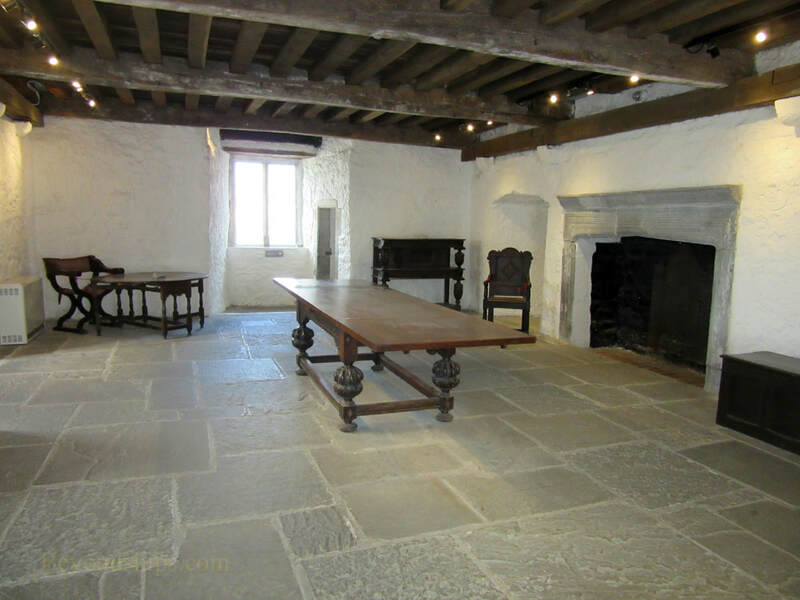 Some of the rooms have been restored and are furnished with medieval antiques. For more information, see the Heritage Ireland website.